“Budget 18 sets out the first steps in a plan for transformation – a transformation of our economy, a transformation of our public services, and a transformation of the way we work together to improve the lives of all New Zealanders”. All eyes were on Hon Grant Robertson on the 18th May as he delivered his first Budget as Minister of Finance. Pre-Budget expectations of bold spending now to address social and infrastructural deficit ran high but Budget 2018 brought us all down to earth with the reality that transformation on the scale promised is in the future. The backdrop to understanding Budget 2018 is the Budget Responsibility Rules signed by Labour and the Green Party, which determine how much (or some would say how little) of the public purse is spent, regardless of a predicted $3.8 billion surplus. This alongside a pledge to reduce Crown debt means the transformation of our economy (aka addressing social and infrastructural neglect) will take longer than first thought. Dr Ganesh Nana comments on these tensions and reminds us that, “Since the 1990s, the nation has embedded the virtue of budget surpluses, achieved at the expense of numerous deficits across whānau, communities and social networks and services”. Budget 2018 has been and gone. We are promised that the next Budget in 2019 will be New Zealand’s first wellbeing Budget. 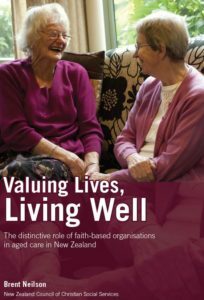 It is planned to use the Treasury’s Living Standards Framework to measure the four Capitals for living standards in New Zealand – natural, social, human and financial. Meanwhile, families living in households below the 40% (after housing costs) poverty baseline will have to wait to see any further relief. What NZCCSS was hoping to see in the Budget? Lift the amount that can be earned before benefits are reduced to $150. We are disappointed our most vulnerable citizens (including children) living on the lowest income must continue to wait for these issues to be addressed. NZCCSS however remains hopeful the reported Welfare Expert Advisory Group will include advice on the urgent need to lift benefit levels, index payments to the minimum wage, and enable people to earn more before benefits are removed. Susan St John (Child Action Poverty Group) also raises concerns that no steps have been taken to remove sanctions on solo mothers who refuse to name the parent of their child. The cost of removing sanctions is around $25 million is minimal compared to a predicted surplus of $4 billion. Funding injection for Community-based social services after a decade of no increases. NZCCSS remains disappointed the Budget did not recognise the crucial role of community social services who support families before issues spiral out of control and need expensive higher-level services. The core community-based social services sector has received no increases in funding for 10 years and this has a real impact on the sustainability of community social services. 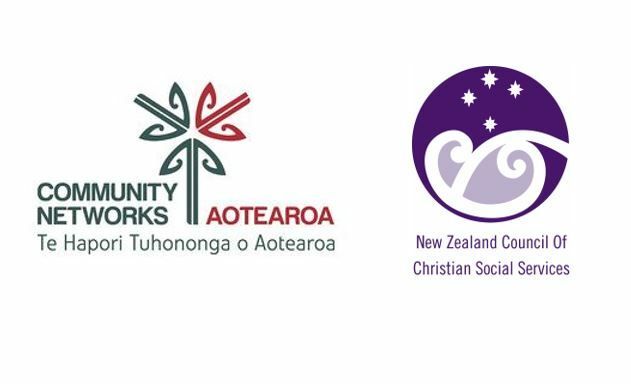 NZCCSS is calling for an interim funding programme for these organisations so they can properly support our communities until a more sustainable funding model is developed. Capital funding for community housing so many more affordable rental and assisted ownership houses are built. The Budget did deliver $234.4 million in operating funding and a mechanism to enable Housing New Zealand to borrow up to $2.9 billion from third parties and to invest a further $900 million from its operations into building social housing. This is a significant change that we look at more closely together with other housing announcements below. Budget 2018 builds on the Coalition Government’s December 2017 mini-Budget and the delivery of some immediate steps to alleviate poverty stress among low income families, available from July 2018. The new Families Package includes a Winter Energy Payment, Best Start tax credit, changes to Accommodation Supplement and Working for Families tax credits. The families package is a reminder that although there is so much more to do for our poorest families, government has made a good start to address low income. The Government says the Families Package will reduce child poverty using the 50% Before Housing Costs measure by 64,000 – the most recent data stands at 140,000 children. In total 384,000 families are expected to be better off by an average of $75 a week once the package is fully implemented in 2020-21. Further changes to the welfare system to address abatement rates, indexing benefits or removing sanctions will have to wait until considered in the promised review of social welfare this year. The Prime Minister Jacinda Ardern has signaled the reduction of child poverty is a central priority for this Government. We are heartened political will is now running alongside public concern for children and their families/whānau living in unimaginable poverty in country with more than enough to go around. The focus is now on what policies and actions need to be delivered by both the public sector and the community social services sector to support families and whānau to independence. The establishment of the following two expert units will play a critical role here. Child Poverty Units – NZCCSS supports the establishment of two expert units within the Prime Minister’s Department and Cabinet to develop an overarching strategy to improve child wellbeing and reduce child poverty in New Zealand. The budget allocates $7.9 million of operating funding over four years to establish the Child Poverty Unit. The Wellbeing Unit will be funded by Oranga Tamariki. Expanding low cost GP visits – NZCCSS welcomes expanding of low cost GP visits seeing it as going some way to addressing high rates of unmet need for GP services and prescriptions. The 2016-17 NZ Health Survey identified 14% of adults had unmet need for primary health care (GPSs) and 3% of children did not visit a GP due to cost. Extending eligibility for the Community Services card to all of those receiving accommodation supplement or income-related rent subsidy. Oranga Tamariki – Budget 2018 allocates $269.9 million over the next four years to Oranga Tamariki, Ministry for Children expand services, including additional care placements and pay increases for OT social workers (note there are no such increases to NGO social workers at this point). $139.5 million to fund changes to include 17 year olds in the youth justice system. A welcomed move across the children’s sector. $13.4 million to provide more Family Group Conferences and $ 2.2 million trial to improve Family Group Conference process for tamariki Māori. $104 million over four years to enable carers such as grandparents to receive clothing allowance for the children they are looking after. This is a great signal particularly to grandparents parenting grandchildren who do an awesome job on smell of an oily rag. Family and Sexual Violence Central Agent – NZCCSS member social services see the corroding impact of family violence on family relationships and the harm this does to children over multiple generations of the same family/whānau. $2 million to support policy work for a new central agent leading a national anti-family violence and sexual violence strategy is a great step forward to turning this around and we look forward to feeding into the strategy. There is an additional $76.157 million over four years to support the delivery of Ministry of Social Development-funded family violence services for victims, perpetrators and their families. Funding has also been allocated to deliver sexual abuse assessment and treatment services. Early learning services – Early Childhood Education received the first cost adjustment since 2008, and an additional 62.5 million early learning hours over four years. Early Childhood New Zealand see this as a good but very small step forward, and is looking to Budget 2019 to receive a more substantial investment in our smallest citizens. Investing in rangatahi – Budget 2018 includes $15 million of new operating funding over four years for education and employment outcomes for rangatahi. The funding focuses on young people not in education, employment or training (NEET). NZCCSS welcomes this funding but would have tripled the allocation to ensure all young people are in education or employment. Investing now in this group of young people pays dividend long term. It couldn’t be said the government is sitting on hits hands when it comes to addressing New Zealand’s critical affordable housing shortage that has seen our public housing shoot to nearly 8,000 amidst increasing homelessness in many communities around New Zealand. The breakdown of key funding to housing in Budget 2018 shows a commitment to significantly increase public housing by 6,400 homes over the next four years (1,600 a year). Although this falls short of the minimum of 2,000 a year that the Salvation Army has calculated is needed, it is still a large step in the right direction. Community Housing organisations welcomed the additional funding along with the commitments to work with the community housing sector in building the additional housing. Minister Twyford has said that he expects around 30% of the additional housing to be from community housing organisations. The significant additional operating funding to Housing NZ ($234.4million in 2018-9) plus allowing Housing NZ to borrow another $2.9 billion and reinvest its surpluses into additional housing to the tune of another $900million over 4 years, makes available the much-needed capital to really grow the number of houses. Additional capital funding of $300 million to the Tamaki Regeneration Company to help build 1,400 houses and 700 public housing units was announced. It is not clear from the announcement whether these are additional homes to those already planned and committed to as part of the Tamaki Regeneration work. Kiwibuild – $2.1 billion was committed in the December 2017 mini-Budget as capital and operating funding for the KiwiBuild programme and to set up the Housing Commission. The first Kiwibuild houses are now being built and the goal of 100,000 homes in the next ten years remains. Additional operating funding of $33.6 million to allow Tenancy Services to continue delivering current services and a further $14.6 million to implement and monitor the Healthy Homes Guarantee Act 2017 and collect data on housing quality were key announcements affecting people who are renting. These announcements are welcome further steps on the path to better quality and more secure rental housing for the half of our population that is renting. More funding to combat homelessness had already been announced at the beginning of May. This included both more emergency and transitional housing funding as well as funding for the Housing First programme. $37.1 million is being put into ensuring by the end of winter there are an additional 300 transitional/emergency housing places, 116 motel units, 50 Housing First places and 1,071 public housing places. The Budget day announcements confirmed this with an additional $20.5 million operating funding over the next four years to provide services for the more than 900 households currently in the Housing First programme and expanding the programme to a further 550 households in other regions of high need. 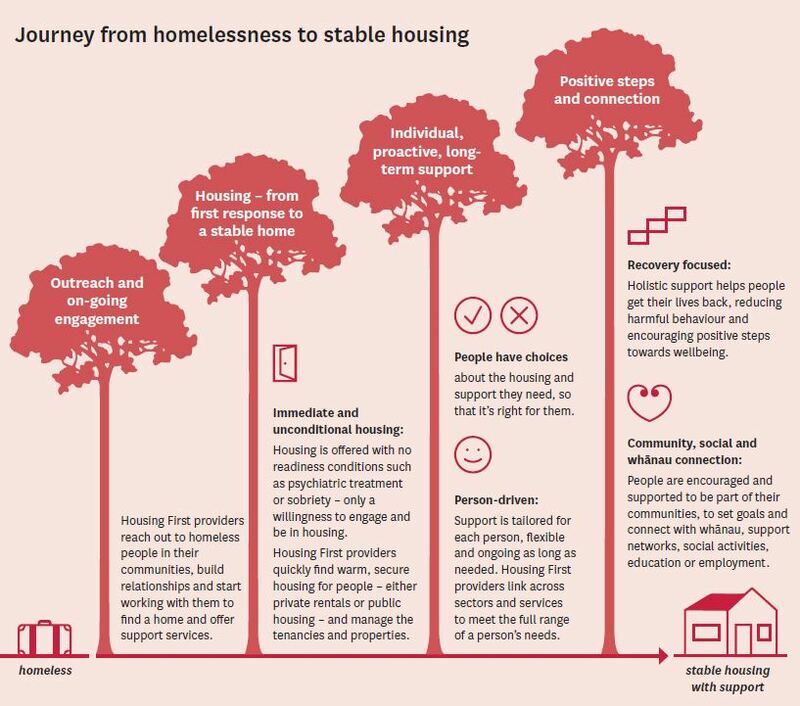 It is planned to increase transitional (emergency) housing by more than 200 places to reach a target of 2,155 places to serve up to 34,000 families over four years – $68.9 million in capital in 2018/19 and $101.0 million in operating funding over the four years. The frontline Ministry of Social Development housing services also received an additional $30 million in operating funding. Out of the Māori Development funding in Budget 2018 is $15 million to provide “practical assistance and resources” to whānau and Māori housing providers to support papakainga development and housing repairs through Māori Housing Network; and $7 million in 2018/2019 for whenua Māori reforms to improve the administration of Māori freehold land, assist with the development of Māori whenua generally and improve governance capacity. 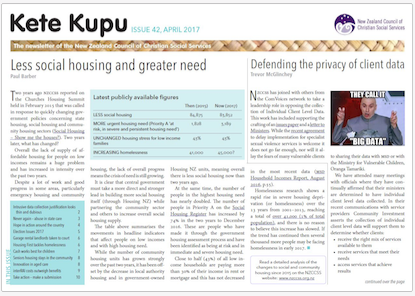 Both are good steps that build on the good work already being done by the Māori Housing Network at Te Puni Kōkiri but the allocation seems small given the low rate of Māori home ownership and high rate of Māori living in poor housing conditions. Bringing Back Manaakitanga is how the Māori Ministers in the the coalition Government combined to summarise the impact of the 2018 Budget for Māori. “We cannot fix all the challenges Māori face in a single Budget – but we are starting to turn things around. We are building the foundations for a future full of Māori success,” says Kelvin Davis. Sitting behind this is a tension between a focus on universals and lifting everyone out of poverty, and targeted funding/interventions towards Māori. The Government favors the former, while some Māori commentators, including John Tamihere, have already raised concerns. Regardless of what position is taken, it is critical that we have an open discussion on these issues and understand different viewpoints, if government is to succeed with its ambitious social and economic transformation, which must include Māori. There were few measures specifically aimed at older people in the Budget but funding of $1 million to plan for the implementation of one free annual health check (including vision) for all older people with a SuperGold Card is underway. Older people on lower incomes who have a Community Services card will also benefit from the reduced GPs charges announced. The Budget 2018 delivered an extra $2.2 billion for District Health Boards (DHBs) over four years, the highest increase in 10 years according to Health Minister David Clark. 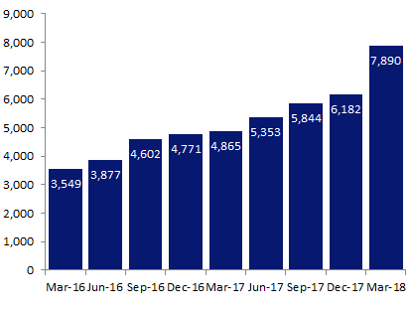 This large increase should give DHBs more room to move to meet the needs of an ageing population but both home based support provider and rest home providers are waiting to find how it will translate into actual funding for services. The costs of implementing pay equity settlements as well as other cost pressures mean that many service providers are looking for DHBs to deliver better funding for services out of the increased Budget allocations to DHBs. AlzheimersNZ lamented the lack of any additional funding for enhanced specialist services to respond to the many thousands of New Zealanders who have dementia. More than 60,000 people are living with dementia now and this is expected to nearly triple in the coming decades, so the sooner something constructive is done the better, says AlzheimersNZ CE Catherine Hall.